Finest Filters stock a complete range of compatible filter media to fit Juwel Filters. Juwel Compact Filters (BioFlow 3.0) - Delta 80, Delta 100, Lido 100, Lido 120, Panorama 80, Panorama 100, Rekord 60, Rekord 70, Rekord 96, Rekord 120, Rio 125, Rio 180, Trigon 190 and Vision 180. Juwel Standard Filters (BioFlow 6.0) - Rio 240 and Vision 260. Juwel Jumbo Filters (BioFlow 8.0) - Rio 400 and Vision 450. The Finest Filters full set of compatible filters, suitable for Juwel Jumbo / BioFlow 8.0 filters, includes: 5 x Poly Pads, 2 x Carbon Foams, 2 x Nitrate Foams, 1 x Coarse Foam and 1 x Fine Foam. 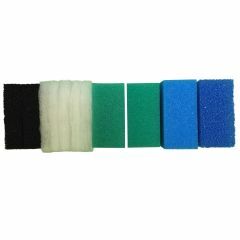 The Finest Filters full set of compatible filters, suitable for Juwel Standard / BioFlow 6.0 filters, includes: 5 x Poly Pads, 2 x Carbon Foams, 2 x Nitrate Foams, 1 x Coarse Foam and 1 x Fine Foam. 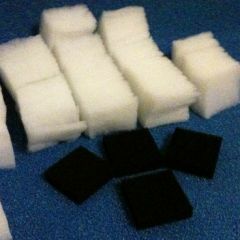 Quantity for sale: 50 Poly pads, 4 Carbon pads, 2 Course, 2 Fine and 4 Nitrate pads. You are buying a pack of 50 Compatible Poly filter pads, and 4 Compatible Carbon filter pads to fit the Juwel Jumbo / BioFlow 8.0 filter. Quantity for sale: 50 Poly pads and 4 Carbon pads Filter Pad Specification: Poly Pads, Carbon Foam Poly Pad Measurements: 150mm x 150mm x 12mm thick. Carbon Pad Measurements: 150mm x 150mm x 25mm thick. It is recommended to change the poly pad every week, and the carbon pad every 4 weeks. 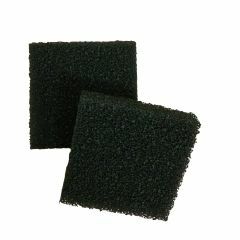 You are buying 2 Compatible Fine foam filter pads suitable for the Juwel Jumbo / BioFlow 8.0 Filter. 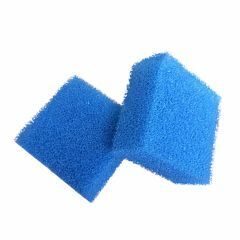 Quantity for sale: 2 Filter Pad Specification: Fine Foam Filter Pad Measurements: 150mm x 150mm x 48mm thick. 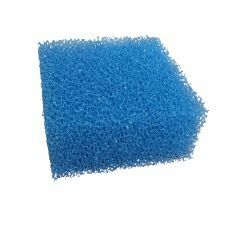 It is recommended to change the fine foam every 3-6 months. 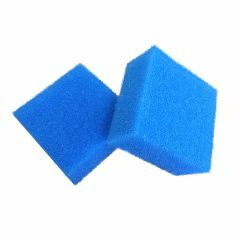 You are buying a Compatible Fine foam filter pad suitable for the Juwel Jumbo / BioFlow 8.0 Filter. 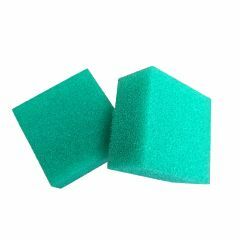 Quantity for sale: 2 Filter Pad Specification: Fine Foam Filter Pad Measurements: 150mm x 150mm x 48mm thick. 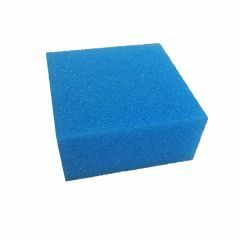 It is recommended to change the fine foam every 3-6 months.